Proving the adage that the grass is always greener on the other side of the fence. Or at least tastier! 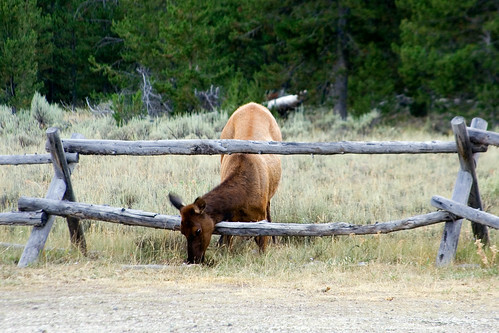 This entry was posted on July 13, 2008 at 8:33 pm and filed under animal, elk, fence, Grand Teton, Grand Teton National Park, National Park, vacation, wildlife, Wyoming.